I’m sipping tea from a flower-patterned fine china cup and spreading thick layers of strawberry jam and fresh cream on a warm blueberry scone. There are also several additional baked treats to nibble on, while I slowly empty my brimming pot of London Lady tea. If I had a waxed, Victorian-style moustache, I’d be twirling it conspiratorially and already plotting my next visit. 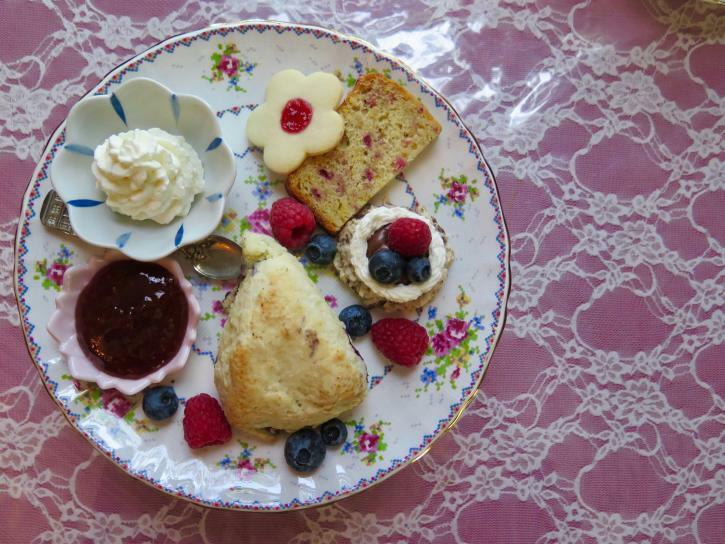 Life in pioneer-era Richmond wasn’t always easy for the locals, but I think I could have coped admirably if there was the occasional decadent afternoon tea to look forward to. Luckily, though, you don’t need a time machine to treat yourself here. Just head to London Heritage Farm and slip into their inviting little Tea Room. 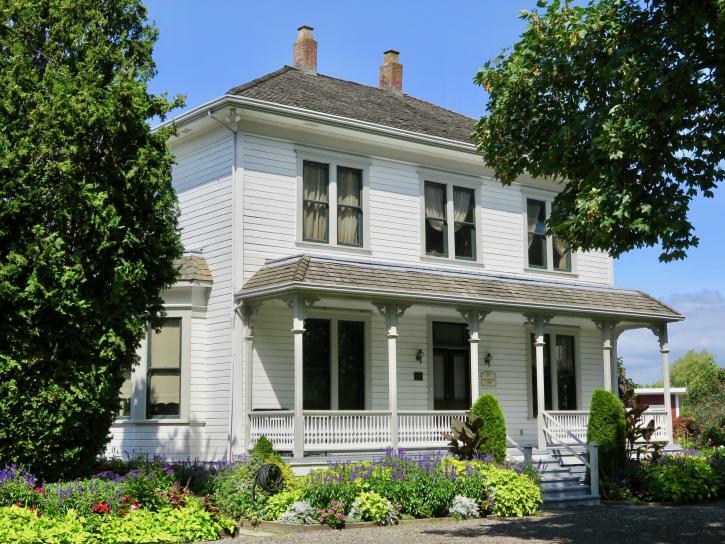 Just across the street from the south arm of the Fraser River, London Heritage Farm has been a charming, history-hugging Richmond attraction for many years. But it still feels like a hidden gem, with wide-eyed visitors continuing to discover this free-entry, antique-lined house museum and its flower-studded gardens every season. For anyone curious about how we used to live, it’s a Metro Vancouver must-see. And while my recent visit was motivated by afternoon tea cravings, I also saved plenty of time to explore the vintage white-painted old farmhouse. 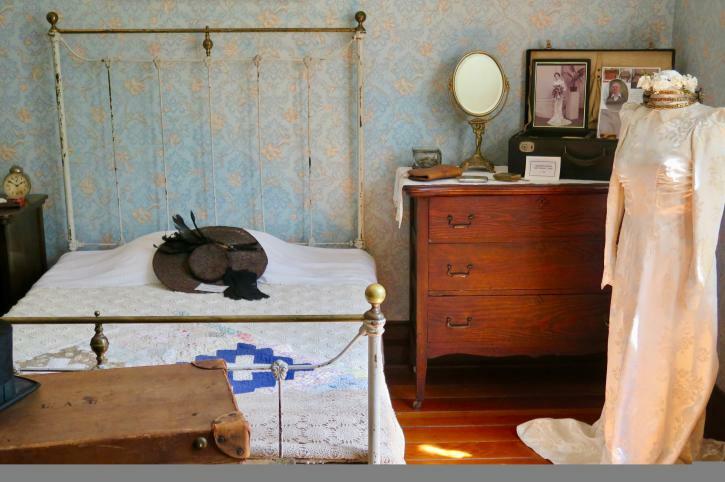 Spread over two floors, six of its rooms have been furnished to reflect the family that built the home and ran the farm here from the 1880s onwards. There’s a kitchen with its own wooden icebox (the ice used to be cut from the Fraser River in winter); a bedroom bristling with old-fashioned children’s toys; and a hallway lined with framed photos of the property and the generations of determined-looking family members who once lived here, including several men with extravagantly voluminous facial hair. But it’s the creaky-floored old-fashioned Tea Room that many visitors make a beeline for. With its high ceiling, flower-patterned green wallpaper and giant sepia photo of the house and grounds in 1910, it offers a richly evocative­­—as well as delicious—way to step back in time. Each of the room’s seven tables—including some next to windows overlooking the verdant gardens—is set for tea, complete with lace tablecloths and vases of fresh-cut flowers. Back in the day, this room had multiple uses and was once employed for entertaining, which is why there has been a piano here since 1903. 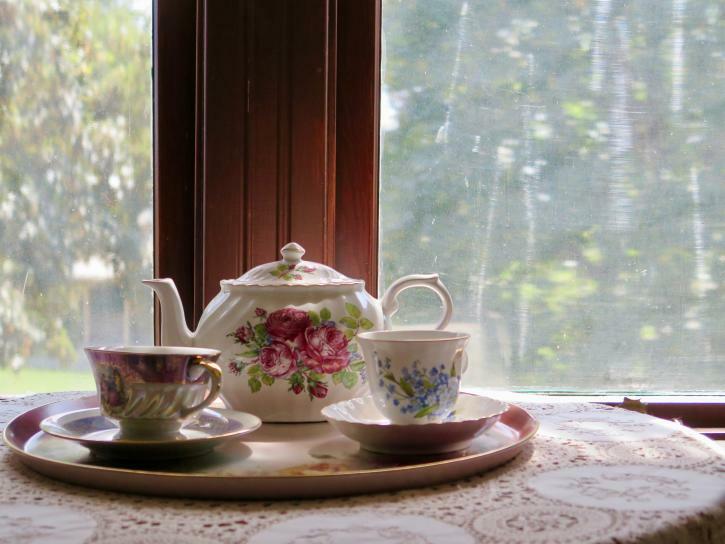 Tea, of course, is the essential foundation of any great Tea Room. And the property’s special London Lady blend—an aromatic, lightly floral thirst-quencher that’s perfect for leisurely sipping—is served in vintage china teapots alongside pretty teacups, dainty creamers, and silver bowls of cubed sugar. And when it comes to the wider menu, there are two main options. Afternoon Tea includes a pot of London Lady tea (or coffee, juice or hot chocolate); a choice of sweet or savoury scone, including cream and organic jam; and three house-baked goodies (on my visit this was a shortbread cookie, slice of cranberry and orange loaf, and a chocolate-fruit-and-cream-topped macaron). All were artfully arranged on a pedestal plate that was also scattered with seasonal berries. High Tea is the second, larger option. Even more decadent, it also includes tea or other beverages but is centered on a three-tiered platter that’s packed with house-baked scones and treats plus fresh-made savoury goodies including delicious little finger sandwiches. It’s ideal for a special occasion celebration or indulgent lunch. You can also buy take-home reminders of your tea from the onsite gift shop. This includes little packets of London Lady teabags as well as jars of the farm’s own organic jam—the nicely zingy rhubarb and ginger is recommended. But before leaving, you should also save time to explore outside the house. 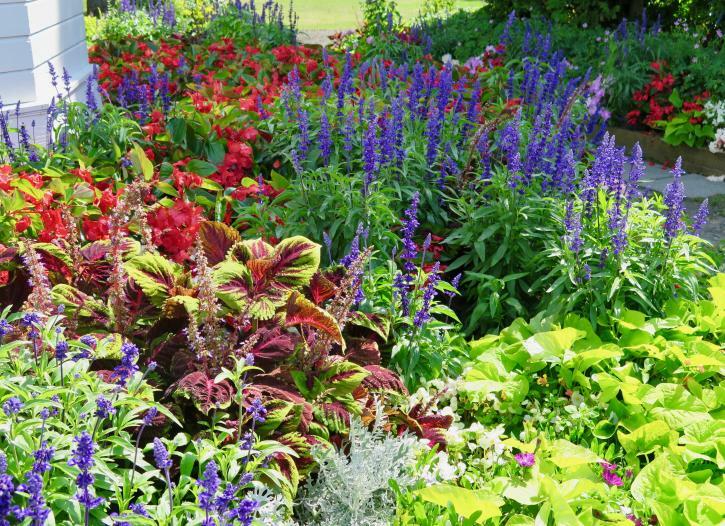 The bucolic four-acre grounds here include a cornucopia of flower-lined walkways. There’s also an aromatic little herb garden suffused with tarragon and thyme aromas. You’ll also find a restored red barn, some heritage chickens, and lots of gracefully-rusting antique farm machines. And there’s a large tree-shaded pond, which was being busily explored by ducks during my visit. The grounds are a great way to walk off your Afternoon Tea. Entry to London Heritage Farm is free. The Tea Room’s Afternoon Tea ($15 per person or $14 for those 65 and over) and High Tea ($24 and $22 respectively) are available during the farm’s regular opening hours, from noon to 5:00pm Wednesday to Sunday during July and August, and from noon to 5:00pm Saturday and Sunday from September to December and from February to June. The last seating for tea is 4:00pm year-round and booking ahead is recommended.